Home » Uncategorized » Albuquerque? 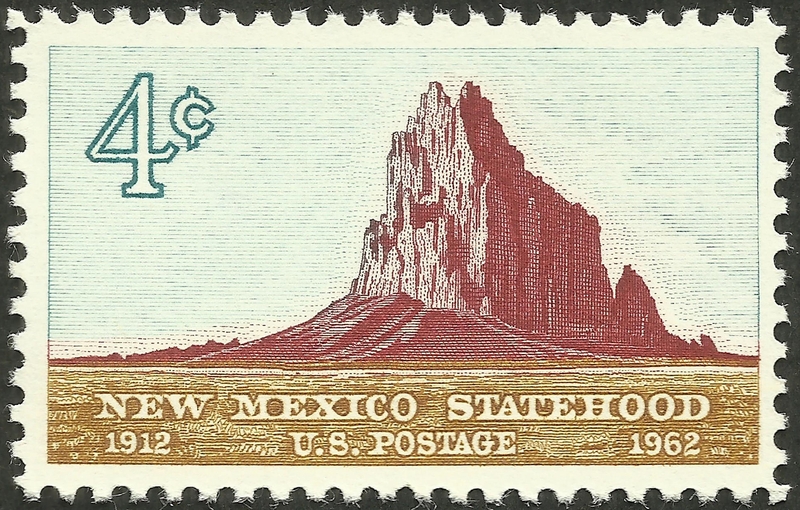 On January 6th, 1912, New Mexico joined the Union; less than a month later, on February 14th, Arizona followed suit. Forty-seven years later Alaska and Hawai’i rounded us out at fifty. 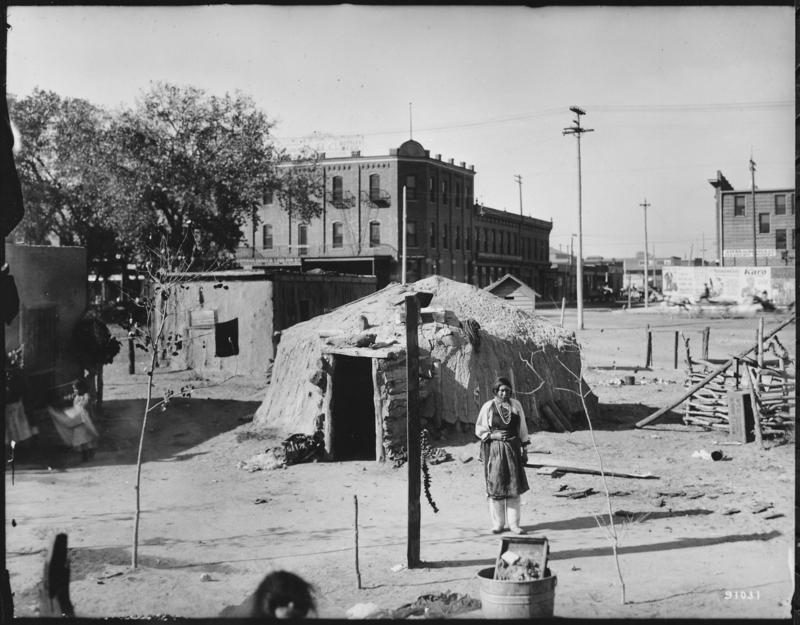 But during that winter of 1912, Albuquerque and Phoenix were the places to be. The southwest had already become a tourist destination, thanks to a partnership between the Santa Fe Railway and the Fred Harvey chain of restaurants and hotels. For a Hollywood recreation, look for “The Harvey Girls” on Netflix. January was a cool dry month in1912; Albuquerque enjoyed a median temperature 32.1°F and just 0.02 inches of precipitation; and if it didn’t warm for the midday festivities—marching bands and speechifying—sturdy turn-of-the-century woolen menswear kept everyone comfortable. Dignitaries and local residents were joined by a goodly number of tourists who attended by chance or choice, among them six members of the Tennant family (Jim, Martha, and the four children) who’d made the arduous 1,000-mile journey specifically for the occasion. I’d like to think they took rooms at the Alvarado Hotel. 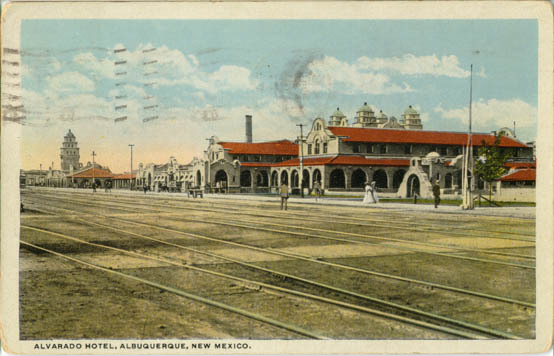 Albuquerque’s Alvarado Hotel (with adjacent dining facilities, the Santa Fe depot, and a room crowded with local arts and crafts) had opened ten years earlier on May 11th, 1902. But despite its stylistic sophistication and level of service, the central city was a cultural grab bag of territorial aspiration and native persistence; witness the photo below with an earth lodge juxtaposed against the best Victorian Gothic that frontier builders could provide. This experience alone would have transformed an architect like Anson Tennant, but another encounter made it more deeply personal. 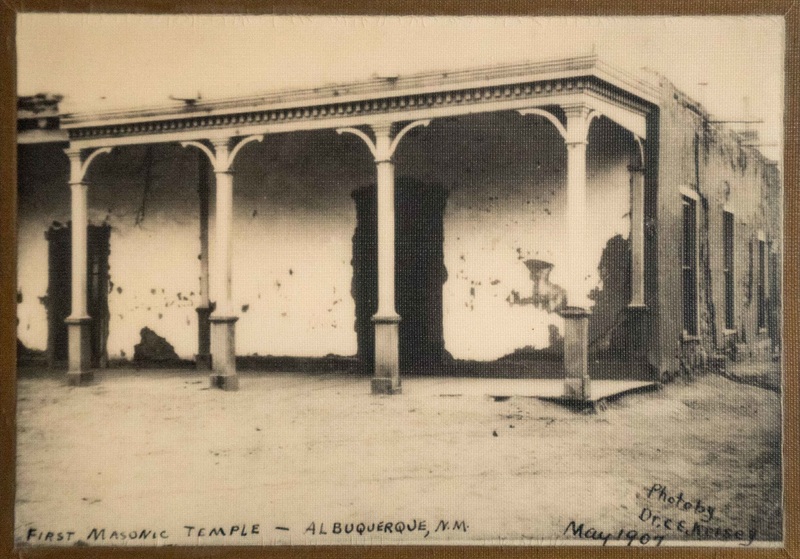 A mile and a half northwest of the Anglo town’s Jeffersonian regularity was the Old Town plaza del pueblo and a different culture—one that most of us could only have known through the pages of the National Geographic. It was there, in a flat-roofed territorial-style building that had once been a Masonic Lodge, Anson found the workshop of furniture maker Manuel Galvez y Paz; one of his chairs was displayed in the Alvarado craft shop. Galvez’s style used the simple planar construction promoted by The Roycrofters. Squint and you can also sense it in the Prairie Style furnishings of Frank Lloyd Wright, or more obviously in Mission Style furnishings sold by Gustav Stickley. Anson understood it in the larger context of William Morris and the Arts & Crafts and visited the Galvez shop with more than a casual interest. The Tennants enjoyed the city for ten days, a cool dry winter unlike the one back home. They bought some Galvez pieces, including a hefty buffet (which required a crate as big as the house it would occupy), but Anson stayed for at least two more weeks, learning the rudiments of furniture-making and building a friendship with “Manny” that would have consequences neither of them could have imagined. By agincourtiowa in Uncategorized on Thursday/05/July/2018 .